Exit I-20 on to Cooper St. (FM 157) and go north. Proceed approximately three miles. Turn east (right) on to W. Mitchell St. Follow event parking signs. Exit I-30 on to S. Center St. and go south. Proceed approximately two miles. End: 600 S. Center St. (parking garages will be on your right). Exit Division St. and head west. Turn south (left) on to S. Collins St. Turn right on to E. Border St. 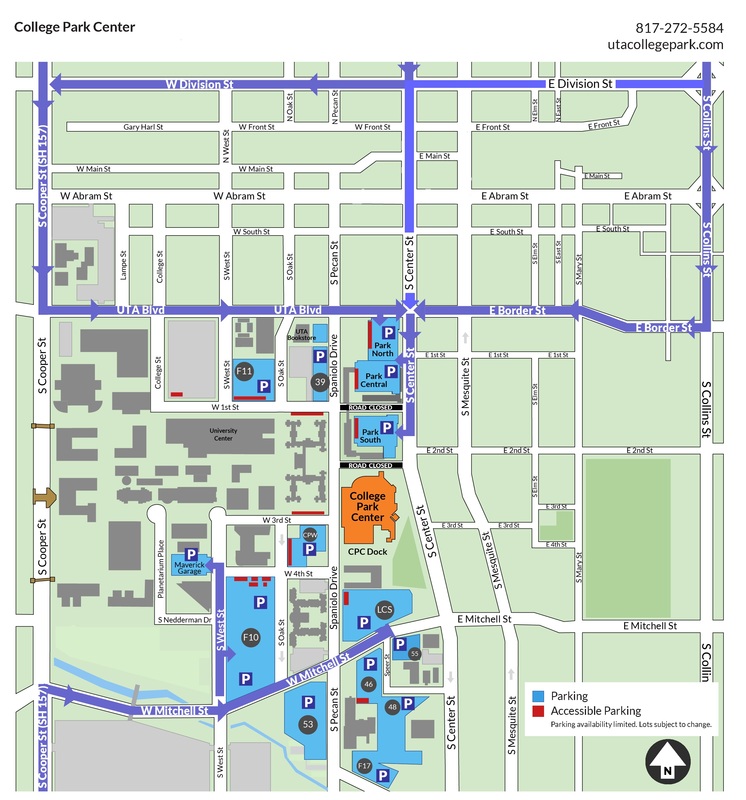 Turn left on to S. Center St. End: 600 S. Center St. (parking garages will be on your right). Smoking and the use of chewing tobacco is not permitted inside or outside the College Park Center. The University of Texas at Arlington is a tobacco-free campus.